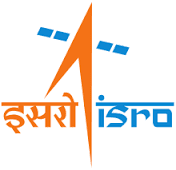 ISRO Satellite centre (ISAC),HAL, Bangalore invites application for the post of Catering Attendant and Cook. EX-Serviceman, person with disabilites and meritorious sports person shall be eligible for age relaxation. SSLC/SSC pass +5 years experience in a similar capacity as cook i n a well Established Hotel/Canteen.An approved certificate issued by any reputed/recognised institute. Ex-Serviceman, person with disabilities and meritorious sports person shall be eligible for age relaxation. There will be an initial screening based on online application details. Candidates selected will be called for written test and skill test. Test will be held at Bangalore. Eligible candidates can register online in the official website of ISRO from 17.12.2016-06.01.2017. There will be an application fee of Rs 250/ for male unreserved and other backward class candidates.